Take control with a responsive content management system. 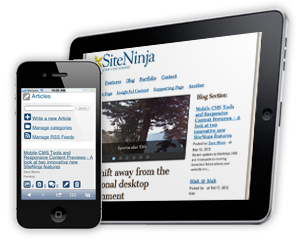 SiteNinja provides easy-to-use tools that empower you to effortlessly manage a flexible, SEO-friendly website from any device. 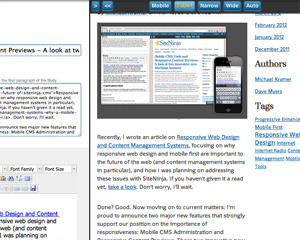 SiteNinja provides you with the tools to preview how your content will look to your users, regardless of what device they are using to view your site. We provide tools that allow you to manage your website on the go. Need to update a page? Need to post a new article while you're out and about? Simple. 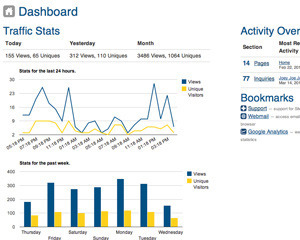 Your Dashboard gives you an overview of how your site is performing with your users.